Office Hours: Spring 2019: M 1:30-3:30 & by appt. His research focuses on debates in world literature, postcolonial studies, literary theory, as well as film and visual culture, primarily in Africa and the Middle East. 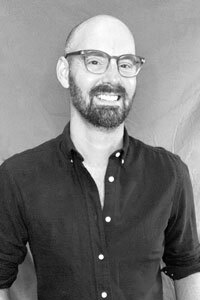 In both his research and teaching, he bridges textual analysis with social theory, and draws from methods in anthropology, religion, queer theory and area studies. He is the author of In the Shadow of World Literature: Sites of Reading in Colonial Egypt (Princeton 2016, Co-Winner of the MLA Prize for a First Book) and of articles in venues such as PMLA, Modernism/Modernity, Comparative Literature Studies, Early Popular Visual Culture, The International Journal of Middle East Studies, and the Journal of Arabic Literature. He is also a guest editor of a special issue of Comparative Literature (“Reading Secularism: Religion, Literature, Aesthetics”), and with Elisabetta Benigni, an issue of Philological Encounters (“Lingua Franca: Toward a Philology of the Sea”). He is at work on a second book, Picturing the World: The Global Routes of Early Cinema, 1896-1903, which traces the transnational history of camera operators working for the Lumière Brothers film company. Michael is the editor of Comparative Literature and serves on the editorial board of the Journal of World Literature, Philological Encounters, Syndicate Lit, and Middle East Topics & Arguments. He was elected a member of the executive committee for LLC Arabic (2017-2021) and a delegate of Twentieth and Twenty-First Century Comparative Literature (2019-2021) for the Modern Language Association. He has been a EUME Fellow at the Forum for Transregional Studies in Berlin (2011-12, 2017-2018), a Townsend Fellow at the Townsend Center for the Humanities in Berkeley (2006-7), and a Presidential Intern at the American University in Cairo, where he worked with its Institute of Gender and Women’s Studies (2000-1). For two summers (2011-12), he was the site director for the CLS Arabic Program in Tangier, Morocco. Reading Secularism: Religion, Literature, Aesthetics. Special Issue ofComparative Literature. Vol. 65, No. 3, Summer 2013. "Scattered Letters: Translingual Poetics in Assia Djebar's L'Amour, La Fantasia," Philological Encounters, Volume 2, Issue 1. 2015. "You, The Sacrificial Reader: Poetics and Pronouns in Mahmoud Darwish's 'al-Qurban'" Friederike Pannewick and Georges Khalil (eds. ), Commitment and Beyond: Reflections on/of the Political in Arabic Literature since the 1940s, (Wiesbaden: Reichert-Verlag, 2015). "The Hermeneutics of the Other: Intersubjectivity and the Limits of Narration in Rashid al-Daif's How the German Came to His Senses" in Ken Seigneurie (ed. ), What Makes a Man?, (Austin: University of Texas Press, 2015), 214-227. "How Adab Became Literary: Formalism, Orientalism and the Institutions of World Literature" Journal of Arabic Literature (43), Issues 2-3, 2012, pp172-96. “Deserted Histories: The Great Pyramid and Early Film Form” Special Issue of Early Popular Visual Culture, 6:2, 159-170, July 2008.